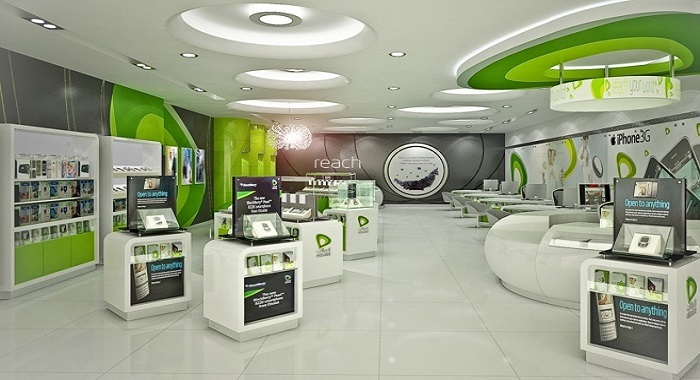 The Nigerian Communications Commission (NCC) intervention to broker a peaceful resolution between Etisalat Nigeria and a consortium of banks may have failed as Rubiztech has confirmed that Etisalat Nigeria will indeed be taken over by three Nigerian banks. According to reports, Etisalat has obtained a loan facility amounting to N541.8 billion naira ($1.72 billion USD) from a consortium of some foreign and Nigerian banks, including Guaranty Trust Bank, Access Bank, and Zenith Bank in 2015 to facilitate reconstruction and expansion of Etisalat’s network operations here in Nigeria. Though a debt servicing schedule agreement was reached since 2016, the telco company failed to meet up. This prompted the three Nigerian banks, prodded by their foreign partners, reported Etisalat to banking sector regulator, the Central Bank of Nigeria, CBN, and its communications sector counterpart, the NCC. Speaking to Daily Trust, the spokesperson of Etisalat, Oluseyi Osundedo blamed the telco inability to pay the debt back on time on the current economic downturn and lack of access to forex. However, the banks claimed that they are being pressured by Assets Management Company of Nigeria (AMCON) to reclaim the loan by all means. A source not quoted by Reuters News Agency said affected banks ‘have asked Etisalat Nigeria to convert shareholder loans on their books into equity and inject fresh capital to free up its cash flows, in addition to asking that its parent firm increases its 40 percent stake in the affiliate’. There are no indication that this proposal was given a consideration given the takeover which has taken effect as at yesterday. NCC’s effort in interacting with the Central Bank of Nigeria (CBN) to see that the banks would not have the right to take over did not hold water. Registered as Emerging Markets Telecommunications Services, EMTS, 40% of Etisalat is owned by Mubadala Company of UAE. The group which disclosed that it earns just about 3.4% of its revenue from Etisalat Nigeria, signed a bond to guarantee the release of the loans, why it backed out of rescuing its Nigerian unit is still a mystery. While it does not own a controlling stake in the business, it is baffling while controlling shareholders in the company have not reached a resolution before now. Etisalat is not quoted on the Nigerian Stock Exchange, NSE, it will be hard to fathom how the company was run. As a hint, Ibrahim Dikko, Vice President for Regulatory Affairs at Etisalat Nigeria disclosed that the company was on a positive earnings territory before EBITDA (Earnings Before Interest, Tax, Depreciation and Amortisation), this further buttress analyst estimates that the company has never made a profit since it started operations in 2008. With this takeover, what happens to the employees and the about 21 million subscribers?